Robert Frank Agostinelli is known for being an excellent financier and philanthropist. 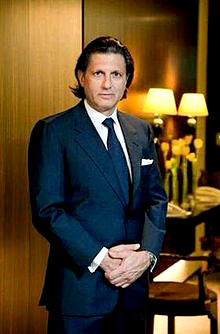 He is a self made billionaire of Italian American origin and the co-founder of the Rhone Group, a private equity firm. He was born in Rochester, United States of America, just a little outside New York City. 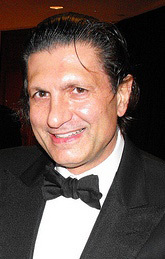 Later, he graduated with a Bachelor’s degree in Arts from St. John Fisher College and an MBA from Columbia University, where he graduated with the highest honors. Very little is known about Robert Agostinelli’s parents, except that they were immigrants from Italy who moved to America – the land of the free and the home of the brave- in hopes of a better future. They had four children together. He has three siblings- Richard, James and Jacqueline Agostinelli. Robert Frank Agostinelli was married to Mathilde Agostinelli (now Meyer) for a brief period of time. Mathilde is the public relations director for Prada in France and is a quintessential Parisian beauty with impeccable taste and style. She also worked previously as a fashion editor and a porcelain artist. The couple divorced and shortly after, she married Antoine Meyer, a fashion photographer. Mathilde is a very close friend of Cecilia- Nicholas Sarkozy’s ex-wife. Robert Agostinelli is extremely close to Nicholas Sarkozy. The friendship survived even when Cecelia and Nicholas Sarkozy got divorced. Robert was also married to Rosalie van Breemen, a Dutch model. She was born in Utrecht, The Netherlands on August 2, 1966. She previously worked as a journalist and as a presenter on Dutch television. Before being married to Robert Agostinelli, she lived with French actor Alain Delon and had two children with him. In 2001, they ended their relationship and barely a year later, she married Alain Afflelou, a French millionaire. This marriage ended badly as well in 2008 and they got divorced. After divorcing him, she wrote a book about ‘how to make your divorce a success when our marriage turns out to be a failure’. In 2010, she married Robert Agostinelli. The marriage came as a shock to friends and relatives alike, especially after her previous two failed relationships. However, she just had a string of bad luck and this marriage didn’t last as well. 1) Giovanni ‘Gio’ Agostinelli – He was born on March 23, 1986 and lives in London. 2) Late Stefano David Agostinelli – He was born on March 5, 1992 and passed away in 2008. 3) Massimo ‘Max’ Agostinelli – He was born on September 25, 1987 and lives in London. The identity of the fourth child is still unknown. He is estimated to have a net worth of $1.0 billion according to Forbes and this makes him the 416th richest American.